I've been meaning to get around to these travel posts for the past few months, but I was still "chewing on them." In other words I still molding them around in my mind and figuring out how I wanted to convey all the information I had. I decided on this-----a single post for each city I visited with food, accommodations, day trip information, as well as main sights to hit. I will also have an accompanying Pinterest board to point out more places and show you guys the layout of the city. 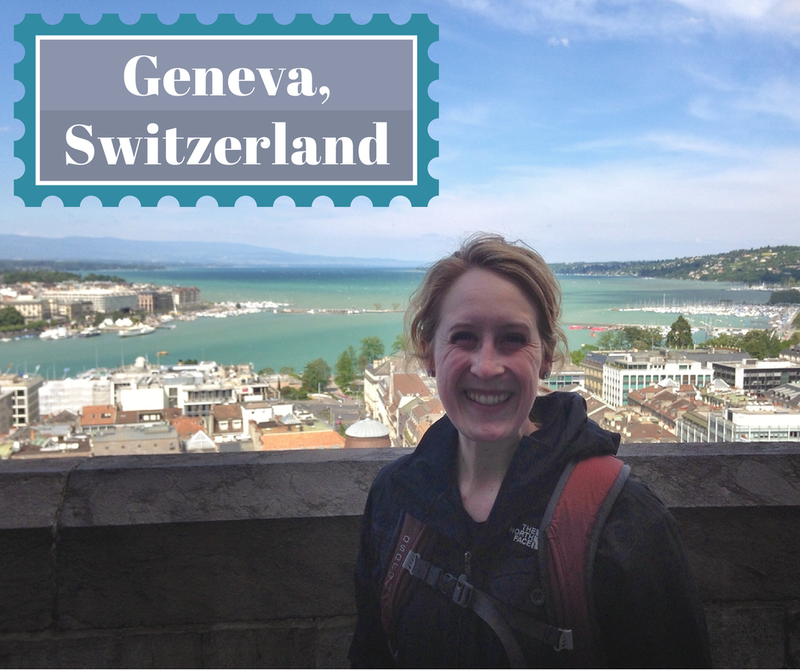 One of the main reasons Matt and I chose to visit Geneva was the cost of the flight. We booked about 6 months in advance and our round trip was under $1,100 which was much cheaper than of the other cities. We made Geneva our home base and started and ended our trip here. 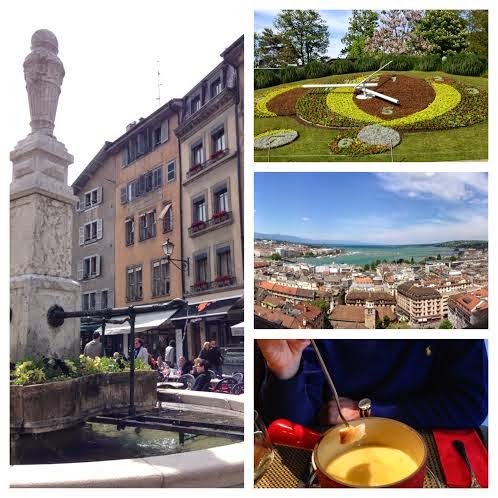 We found Geneva to be a charming little historical city. Out of all the cities we visited, it was definitely on the expensive side. We saved money by walking, taking public transportation, and eating simple picnic lunches and breakfasts. Matt and I wanted to stay in cheap and safe places everywhere we went. 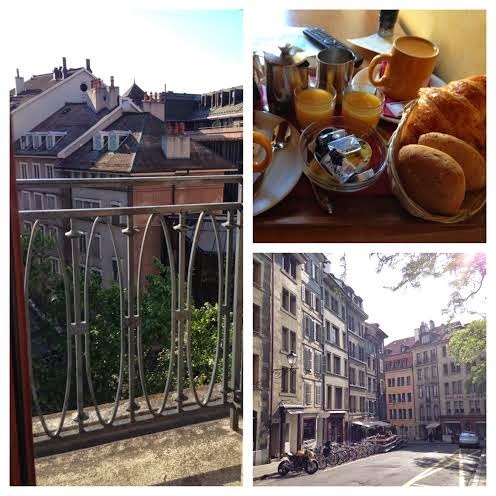 For most cities that meant hostels, but Geneva didn't have many hostels near the city center. We found this budget hotel that happened to be located in the middle of Old Town! It was surrounded by restaurants and shopping and was the ideal location for us. We stayed in the smallest "compact room", but it was perfect for 2 people just looking for somewhere to sleep. The price of the room comes with a breakfast that is delivered every morning that includes coffee or tea, juice, and fresh breads. The staff was very friendly and we had a lovely little terrace. When we visited it was incredibly windy. There are different boat tours you can take, but we did not because of the weather. Le Relais de L'Entrecote: I have only have one recommendation for Geneva and that is because we loved this place so much we went there twice. I don't have to recommend anything on the money because there's only one thing----steak-frites served with a pesto-y/chimichurri sauce. I'm serious, they don't even ask you what you want, just how you want your meat prepared. While it wasn't cheap (about $40 francs per entree or around $50), it was by far the best meal I had whilst there. It's also a good amount of food for your money. After you eat your plate (like the one pictured above), they come around with seconds. Be sure to save room for their Gateau du Relais. It's incredible chocolate cake. If you're not planning on going to Geneva, but want amazing steak-frites, check out their several locations in Paris. 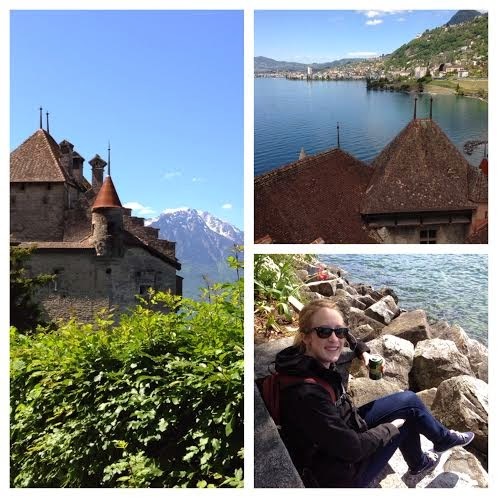 We took one day to visit both Montreux and Lausanne. We traveled by train from the Geneva Cornavin Station. We were also able to purchase our tickets to visit Chillon there. Visited the Cathedral of Notre Dame of Lausanne and climbed to the top for fabulous views of the alps and the city. I know that this was a ton of information to put into one blog post. If you have any questions about my trip or traveling, comment below or email me at katy.utter@gmail.com. Click here for the Geneva, Switzerland Pinterest board.